Air potato, photographed at Woodmont Natural Area,Tamarac, Broward County, in October 2014. Other photographs along Military Trail in Boynton Beach. 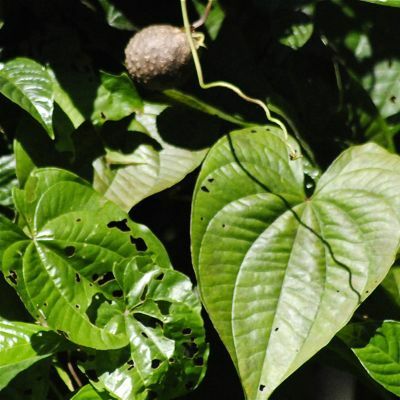 The air potato, dioscorea bulbifera, is the familiar story of an idea that seemed good at the the time but really was a nightmare waiting to happen. As the tale is told, long about 1905, famed Florida naturalist Henry Nehrling got the notion that air potato might have potential as a food crop or ornamental plant, and sent samples to a government researcher in Orlando. Turned out it's neither. There were warnings that air potato could be problem if it escaped into the wild, and unfortunately they proved correct. Ever since, air potato has spread and spread. And spread and spread. Air potato produces aerial tubers (hence the name) and lots of them but they are toxic. And while air potato is attractive, it's also extremely aggressive, growing as much as eight inches a day and reaching 70 feet or more in length. It also produce underground tubers the size of a softball, which make it difficult to eliminate. It puts out both male and female flowers but it rarely flowers at all in Florida and isn't known ever to have produced male flowers here. But the main way it spreads is those aerial tubers, which are called bulbils. They drop to the ground in the fall and produce new plants in the spring. They can float great distances if they catch water. Best time to remove air potato is in the winter. All bulbils need to be removed and burned (if local regulations allow. If not, the bulbils can be offed by freezing them overnight). 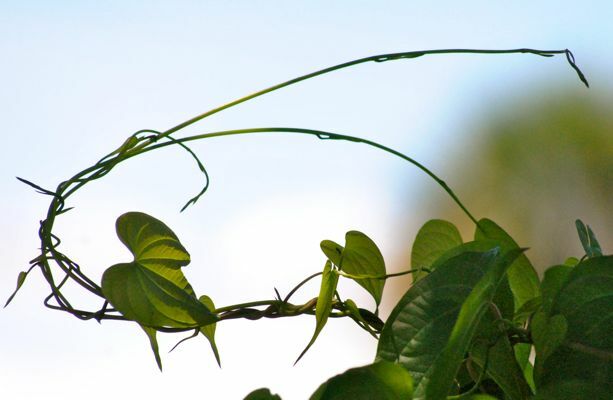 Every bit of the plant needs to be destroyed, according to the University of Florida. Anything that can't be pulled should be hit with an herbicide. UF, the United States Department of Agriculture and the Florida Department of Agriculture are working on programs to use air potato leaf beetles, Lilioceris cheni, as a means of biologically controlling the pesky plant. Information on the programs is here. Air potato literally can overgrow and overshadow native plants, block sunlight and rain from whatever it's climbing on and any plant below. 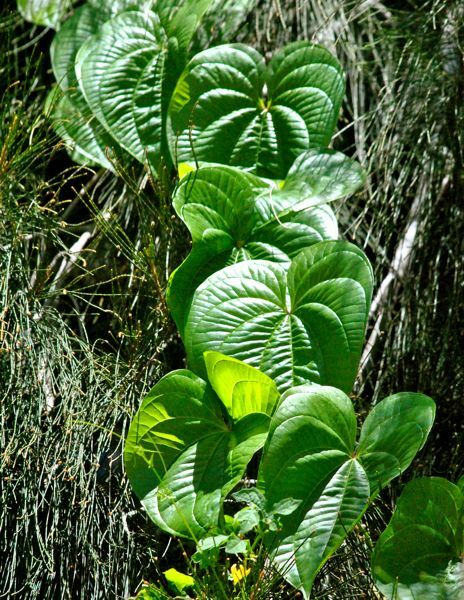 It's one of Florida's most damaging invasive plant species. And in a state full of invasives, that' saying something. Both Florida and Alabama list it as a noxious weed. In Florida, it is illegal to introduce, multiply, possess, move, plant, or release air potato without a special permit. 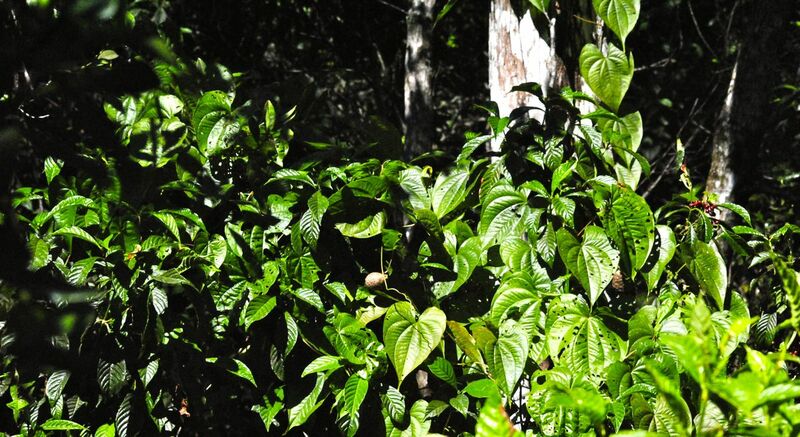 But despite these legal barriers, air potato reportedly is spreading throughout the Gulf. By the way, air potato is much older in Alabama, having been introduced in the 1770s most likely through the slave trade. The native range for air potato is tropical Africa and Asia, although experts are unsure if it originated in Africa and spread to Asia or the other way around. For what it's worth in this particular debate, the air potato leaf beetle is of Asian origin. Florida's air potato population originated in Africa. You can ID air potato from its heart-shaped leaves, with the veins radiating outward from the leaf base. The leaves are shiny, alternate on the stem, rather than opposite. It twines counterclockwise. The bulbils vary in size and color. They can be warty in texture or smooth. According to the University of Florida's Center for Aquatic and Invasive Plants, nonnative yams such as air potato are very toxic and should not be eaten. However, other sources indicate that air potato tubers, the bulbils, are edible when toxins are removed through proper preparation. In fact air potato was eaten in Hawaii (after being cooked, grated and washed several times) at the turn of the 20th century. It wasn't regular table fare, however, but rather desperation food, eaten in times of famine. Air potato leaves are used as a poultice for pimples and tumors and in bath water to soothe skin irritations and stings. It's also used to treat sores, swelling, hemorrhoids, sore throats, and diabetes. In northern Bangladesh, air potato is used to treat leprosy and tumors. Researchers have identified antitumor properties in air potato. Air potato is a member of Dioscoreaceae, the yam family. Other names and spellings: air yam, bitter yam and air-potato. 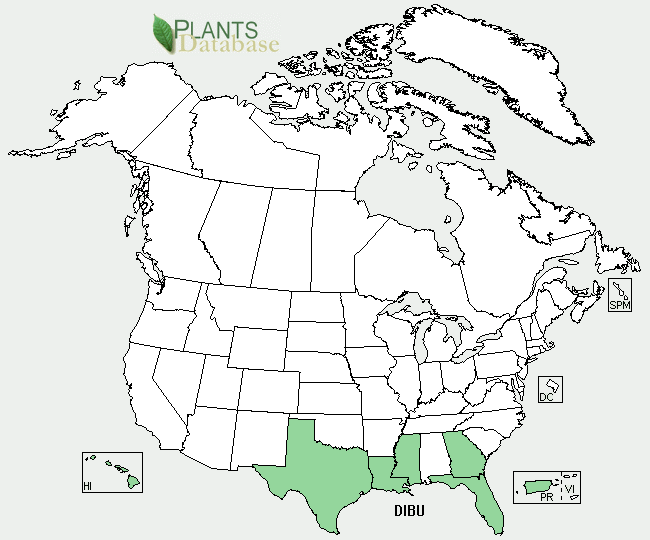 United States Department of Agriculture (USDA) distribution maps for air potato.